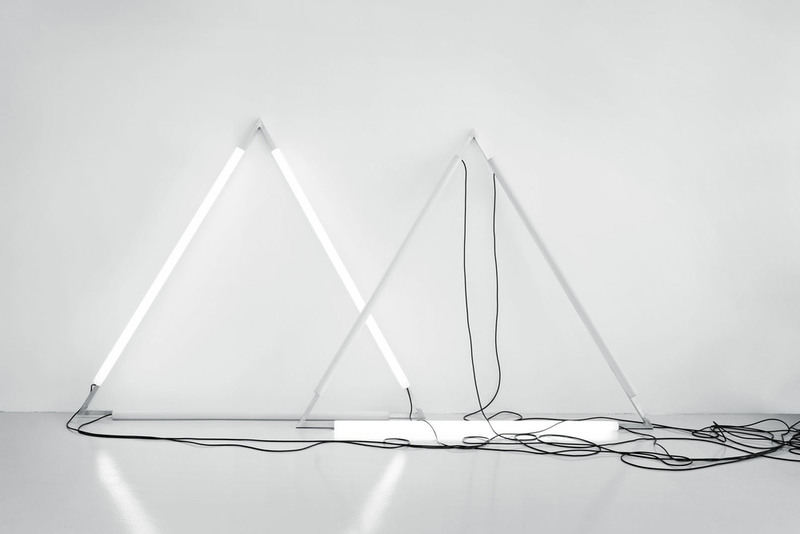 In Between Forms of Representation and Interpretation, Gaviria breaks down the text of his exhibition’s press release into a series of light patterns made by flashing LED light tubes on two triangular forms… Using the cultural systems we devise to understand the world around us (i.e. science, technology, language, music), Gaviria takes one set of information and remakes it in another system. How can one communicate information in a way not determined by meaning, Gaviria asks. In the end, decoding the press release from the flashing lights of Between Forms of Representation and Interpretation does not expand what the work is capable of doing; it does not elucidate your experience to uncover what exactly the press release says. The transmission into another system is the point, is the art, is the idea, all at once. Even though we cannot comprehend much of it, today, we produce vastly more code than language, which is why it only makes sense for Gaviria to offer an exhibition press release as coded strobes of light (Between Forms of Representation and Interpretation). Usually, a press release—an advertisement—is supposed to both inform or produce feelings of affect (the psycho-sexual response of the Mad Men era), but this object does neither. 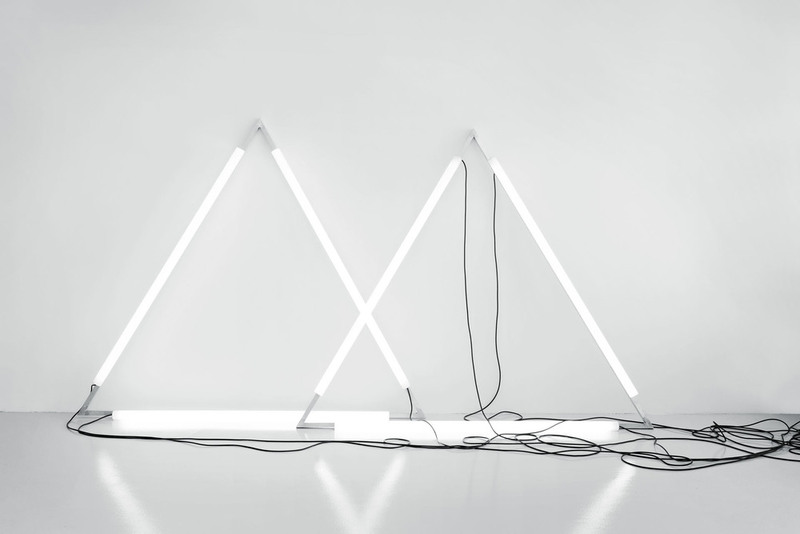 As a strobing light installation, the contents are “bit banged” to any machine receptive enough to receive the message (the human machine cannot receive the message). Thus, the light installation is aesthetic, but in all the wrong ways. We seem to perceive that there is some message being communicated (or perhaps the pretty blinking lights are all a ruse? ), but we don’t know what message is being communicated. Instead, the advertisement comes in a coded form, not unlike an algorithmically-produced Google or Facebook advertisement. This opening to an art exhibit is also a signal—perhaps an “early warning system” as McLuhan thought—to the closing of an era, and of the end of a discourse. Language today is a historical product of military research and development. Perhaps Friedrich Kittler said it best: “Under the conditions of high technology, literature has nothing more to say. It ends in cryptograms that defy interpretation and only permit interception.” In Between Forms of Representation and Interpretation, language has been shoved aside—optimized for algorithmic transmission. The powerful and largely invisible combination of code and algorithm that emerged out of the particularities of the twentieth century have resulted in the ubiquity of codes encountered in daily life, invisible and yet on display in Gaviria’s art.